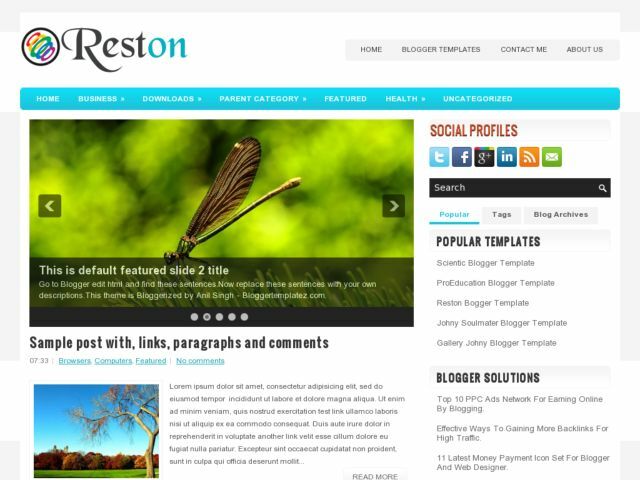 Reston Blogger Template is a free blogger template adapted from WordPress Theme to Blogger Template. Template features : 2 columns, right sidebar, blue and white, featured posts, slider menu, dropdown menu, social bookmarking icons, tab view menu ready, rounded corners style and more. This template suitable for all type of blogs. Download Reston Blogger Template at Blogger Templates Gallery.